Boxed sets have 8 cards. 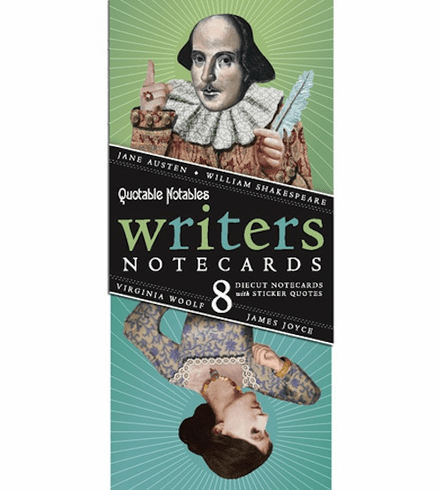 4 different styles, 2 of each card: Shakespeare, Austen, Joyce and Woolf. 4 sticker sheets of greetings, quotes, and pictures included.